We all dream of looking perfect especially on the prom night, but it is very hard to figure out especially in teenage that how should we get rid of the acne and oil on face etc. It is one of the biggest depressions that teenage students have as they are more conscious in this age. It is very important to stay calm as depression also leads to make hormones hyper and then it causes more acne. Today we will talk about natural way of cleansing the body which will make your body relax and will have less chances of having acne and such problems. It is very important to get rid of the toxins that you have a stored in your body after eating the junk food and alcoholic drink and etc. Green vegetables are the best ingredient in order to cleanse your body; vegetables like spinach and parsley are the best. Secondly you can also try a shake that is high in proteins, it can be made by adding your favorite vegetables and fruits and some lemon juice which could make a perfect mixture to cleanse your body and will also make you feel fresh. Other than this water is also very important source to cleanse your body as every time you go to bathroom to urinate it actually cleanse your body system and also helps to burn fats. 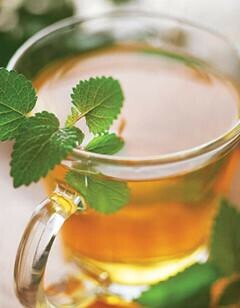 You can also have herbal teas that are very good for the cleansing and also helps to digest food.